Carry On Teacher. 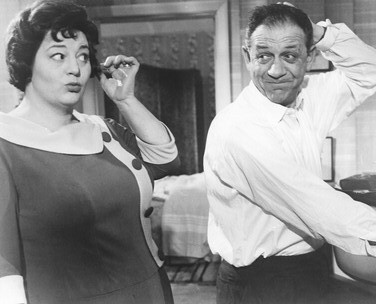 Hattie Jacques & Sid James in a scene from 1959's Carry On Teacher.. Wallpaper and background images in the Carry On फिल्में club tagged: carry on teacher carry on movies british films comedy films hattie jacques sid james photos. This scene is from Carry On Cabby!